When I told people I was going to India, I was met with reactions ranging from, "why do you want to go there?" to, "Why, do you have a problem with your laptop?" Travel Magazines and television programming love nothing more than to show their audiences images of sad but beautiful Indian children, medical staff in crisp white garments juxtaposed with the gray squalor of the slums they are serving, and livestock living under the same roofs and often the same beds as their masters. While these elements undeniably exist in India, this country is so much more than this. Amidst the grit is unfathomable glamour. Among the splendor is spirituality. And everywhere the greedy minority are outnumbered by the gracious. For me the question was never "Why would I want to go to India" but rather, "How can I have the pampering vacation my mind and body crave while opening my heart to let my time in India nourish my soul?" The answer evolved with each passing day of the trip. 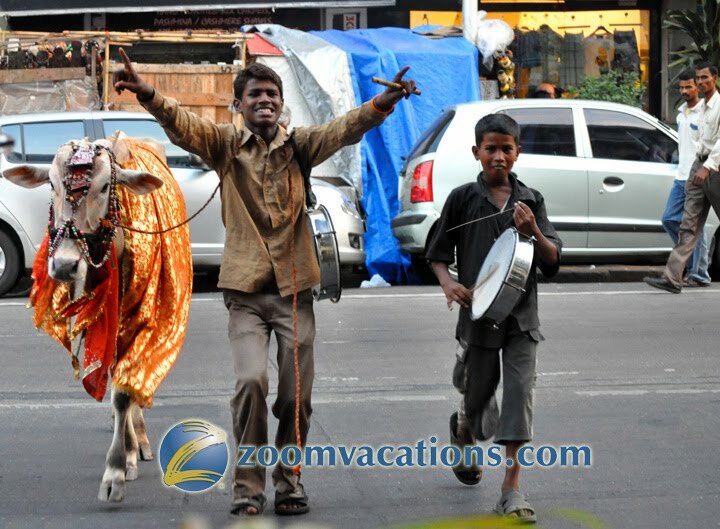 Our tour of India started in its famous seaside city, Mumbai, formerly Bombay. After a delicious Indian breakfast, consisting of a multitude of indiscernible, yet tasty dishes like dahl, nan, and more , we boarded a rustic boat for a tranquil one hour cruise bound for Elephanta island. Upon arrival, we boarded an even more rustic small train, which resembled a down-on-its-luck roller coaster to the steps of the 6th century Hindu worship site, Elephanta Caves. The mammoth caves were hand-chiseled out of the mountain, and enormous, carved columns were placed throughout, purely for decoration, not for structural value. Elaborate carvings of Shiva adorn the walls of the caves, telling stories of Shiva's strength, power, wisdom, and benevolence. When the Portuguese invaded the caves a few hundred years ago, they fired their guns into the caves, chipping away at the once perfect statues and carvings. Once a spiritual Hindu statue has been damaged, it is no longer sacred, and thus the Elephanta caves could no longer be used as a formal site for worship. We left the caves and ran into some young male locals of the rustic island, who seemed to have found a new object for worship, namely the body of our hunky traveler, Mike Ruiz. They crowded around him with amazed and curious eyes, not unlike our own wonderment of the caves just minutes before. You don’t see a lot of big, muscled men in India, and Mike was very popular. With a fond farewell to his fans, Mike and the rest of us boarded our boat for our return trip to Mumbai, and to the Diwali celebration that was just beginning. Diwali is kind of a cross between Christmas and New Years, and its origins may not make a lot of sense to the foreign observer. It stems from the tale of a banished prince who returns from his 14 years in the forest to reclaim his thrown from his step brother and illuminate the path for his kingdom's recovery. Diwali is therefore celebrated with prayer, the lighting of special candles, and setting off the loudest firecrackers you've ever seen. All around our hotel, and really the whole city, and to be honest, the whole country one can see and hear fireworks igniting the sky. Brightly decorated horse-drawn carriages could be summoned for a small fee to take passengers on a joy ride along the bay, to enjoy the festivities in style. Having a busy day ahead of us tomorrow, we called it a somewhat early night, and after a delicious Indian seafood dinner, went to sleep to the soft sound of firecrackers in the distance. Zoom Vacations, a global gay vacation company, offers incredible gay group and independent trips to China, Rio for New Years and Carnaval, South Africa, India, Australia for the Gay and Lesbian Mardi Gras, Peru, Argentina, Madrid for Gay Pride, and several luxury mega-yacht cruises. 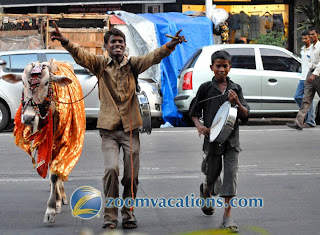 You can find more information on their website at www.zoomvacations.com or call 866 966-6822.